What is a UPS Backup? 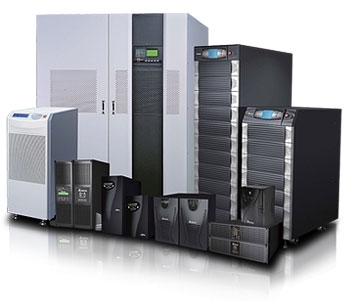 UPS backups are Uninterruptible Power Supplies, initially used as a backup power in the case of a power outage. Power outages can occur often and for several unknown reason. A UPS backup will help keep your powered computers running for a few more hours so you can still access the internet and needed files on your computers. They are also used to protect you from power surges. Over time the batteries inside the UPS backups will eventually give out and no longer hold a charge. When that happens you have a couple options. One option would be to replace and recycle the old battery, if there is more than one battery you will need to replace all of them or else it will only perform as good as the most worn out battery. the second option would be to recycle the entire UPS backup and buy a new one. The third option is to contact the manufacturer and see if there is a trade-in program. If you decide to dispose of your old and worn out UPS backup contact California Electronics Recycler today or come drop it off at our Santa Ana location. These UPS backups should never be discarded in the trash but they should be recycled properly and safely. At California Electronics Recycler we take the extra steps to dispose of electronics the proper way. Electronics should be recycled for a few big reasons; 1) they pollute landfills with the exposure of heavy metals such as Cadmium and Mercury which are highly toxic to humans and the environment 2) the elements and materials can be melted and reused for new products and 3) they take up a ton of useful space.